Are you a loser who wants to be the next action movie star? Do you have the talent to stand in front of cardboard boxes, do 'some' act, and jump out of the way of CGI explosions? Then - we have a 'wee-iner'. 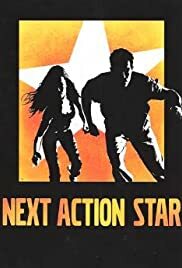 This reality TV show puts a bunch of nobody, wannabe's into a TV show that promises to make them the next action star. You get to perform stunts, act/cheesily ridiciousily at the judges and if you win you get to be directed by action supermeo Joel Silver. Well, nearly everything. The judges are way too much like the ones in American Idol. The bits they show on the 'casting call' are the most hilarious and borders upon being silly and full of parody potental. I haven't watched all the episodes of this reality TV show, but it is like car crash TV in that you can't help but watch but you know you shouldn't.